Firstly, to describe Somaliland as “a breakaway region of North East Somalia” is seriously misleading. Somaliland comprises no more and no less than the former British-Somali Protectorate. The borders of the British-Somali Protectorate were clearly settled in treaties between the United Kingdom, Ethiopia, and France and those borders still endure. In 1960, the British-Somali Protectorate was granted independence as a “de jure” state. The then independent British-Somali Protectorate decided to join with what had been previously Italian Somalia to make up the new state of Somalia. This union did not work and led in due course to Government ‘planes from Mogadishu bombing Hargeisa, the capital of Somaliland, killing hundreds of people – events little reported by the international media at the time. This led to Somaliland reasserting its status as an independent country. In that regard its situation is no different from The Gambia which for a while became part of Senegal and then chose to revert back to an independent state. 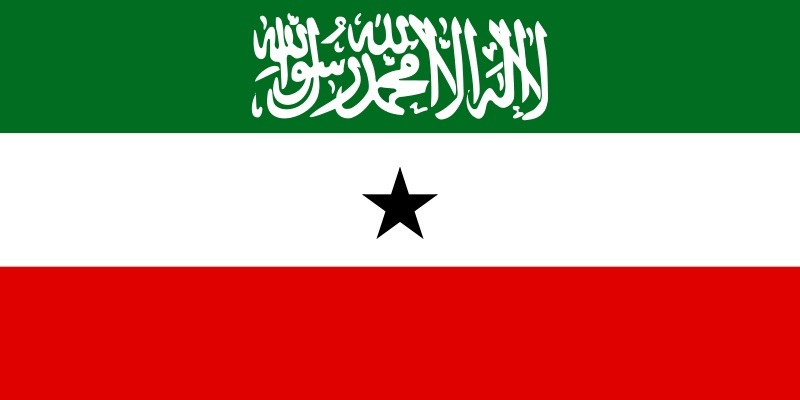 Somaliland has been independent now for some 25 years within settled and well-defined boundaries. 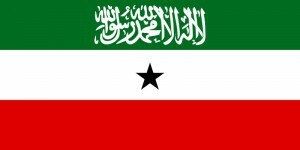 Somaliland has stable Government with a President, and bi-cameral Parliament, with regular Presidential and Parliamentary elections and with transfer of power between different political parties of a frequency not necessarily seen elsewhere in Africa. There have been no reported incidents of piracy off the shores of Somaliland. Like any country, Somaliland must be entitled to make responsible use of their natural resources, which includes their fish stocks. The majority of the directors of Anglo Somaliland Resources (ASR) are leading members of the Somaliland community in the UK. The President and the Government of Somaliland, and the Ministry of Fisheries, sought the assistance of ASR in seeking to market opportunities for responsible fishing to international fishing companies. In this regard, ASR is undertaking a marketing function to promote Somaliland’s fisheries. It must of course be for the Government of Somaliland to determine the conditions of their fishing licences, and given the amounts of money that have been spent over the years by the international donor community in providing consultancy support for the Ministry of Fisheries in Hargeisa, it would be incredibly patronising to consider that this is a Ministry that is not capable of properly managing or being concerned for the proper care of the country’s fish stocks. The criticism of ASR came in a Report of the UN Monitoring Group on Sanctions against Somalia and Eritrea. At no time did the authors of the Report bother to contact or speak to anyone in the Government of Somaliland. The authors of the UN Report completely and totally ignored the Government of Somaliland when writing their Report. Moreover, given that for the last twenty-five years, Somaliland has been completely peaceful, and there has been no piracy off the shores of Somaliland, it is hard to imagine that any part of the UN sanctions regime was prompted because of any concerns over Somaliland. ASR cooperated fully with the UN Monitoring Group when they asked to see a copy of the contract between ASR and the Government of Somaliland. The UN Monitoring Group thereafter at no time came back to ASR with any comments, questions and in particular, at no time put any criticisms to ASR or provided ASR with any opportunity whatsoever to comment on the UN Report. As a consequence of not providing ASR with any opportunity to comment or respond to criticisms, the authors of the UN Report completely misconstrued, and misunderstood, the nature of the contract between ASR and the Government of Somaliland. The UN Monitoring Group incorrectly asserted that the contract between ASR and the Government of Somaliland was an “exclusive” contract. Indeed, a moment’s thought on the part of the authors of the UN Report would have told them that it was highly improbable and unlikely that the Government of Somaliland would entrust responsibility for the whole of their fisheries to a small UK Limited company based in Sussex. Indeed, as the UN Report itself made clear elsewhere, the Government of Somaliland had recently granted Fishing Licences to other companies, such as Pontus Marine. It was, however, the assertion that the contract between ASR and the Government of Somaliland was “exclusive”, and no other assertion, which led the UN Monitoring Group to state that they were concerned that this could lead to a possible threat of piracy, but that assertion was based on a complete misunderstanding and error of the facts which could have simply been avoided if the UN Monitoring Group had bothered to follow any basic principles of natural justice, let alone sound responsible administration, by putting to ASR the criticisms that they intended to make of ASR and to have provided ASR with the opportunity to comment. This is a mistake repeated in the Sunday Telegraph article, along with a number of other serious errors. So, for example, the article states that ASR is selling licences to operate off the Somali coastline. ASR, in conjunction with the Government of Somaliland, is marketing licences off the coast of Somaliland. Suffice it to say that no one from the UN whatsoever has been in touch with either the Government of Somaliland or ASR following the publication of the Report by the UN Monitoring Group. Prior to their comments to the Sunday Telegraph, the environmental charity “Secure Fisheries” had had absolutely no conversations whatsoever with ASR or any part of the Government of Somaliland, including the Ministry of Fisheries, and no one from “Secure Fisheries” had ever even visited Somaliland. That notwithstanding, immediately ASR knew of “Secure Fisheries’” interest, ASR got in touch with them and has invited “Secure Fisheries” to visit Hargeisa and to meet with the Minister of Fisheries, to discuss any concerns they may have but one has to recognise in any Fishery, as demonstrated every year in negotiations over fish quotas for the EU Common Fisheries Policy, there is always going to be a tension between fishermen and environmentalists as to what allowable catch any particular Fishery can sustain in any year and every Government has to do its best on the basis of Best Science to try to seek and find an appropriate balance. There has, however, been no shortage of expensive internationally funded donor advice to the Government of Somaliland on the appropriate provisions that should be contained within their Fishing Licences, and given that “Secure Fisheries” has had no contact with the Government of Somaliland, it is almost certainly difficult for them to come to a balanced view on the provisions within the Government of Somaliland’s Fishing Licences. Countries such as Somaliland are beneficiaries of financial support from DfID. At a recent UK Government conference to promote business and trade in Somaliland, one of the specific areas of activity that the UK Government was seeking to encourage is responsible fishing in Somaliland. ASR is similarly seeking to promote responsible fishing in Somaliland. This is a natural resource which belongs to the people of Somaliland which they should be allowed responsibly to utilise.